The sports capital of the world Subic Bay! Subic Bay caters the majority of the sports happening from local to international; water and land competitions. The favorable waters of the bay to the perfect streets for bike racing and marathon, Subic Bay is well-known for it! I've witnessed and covered some major and local races and still, no one can beat the beautiful place of Subic. 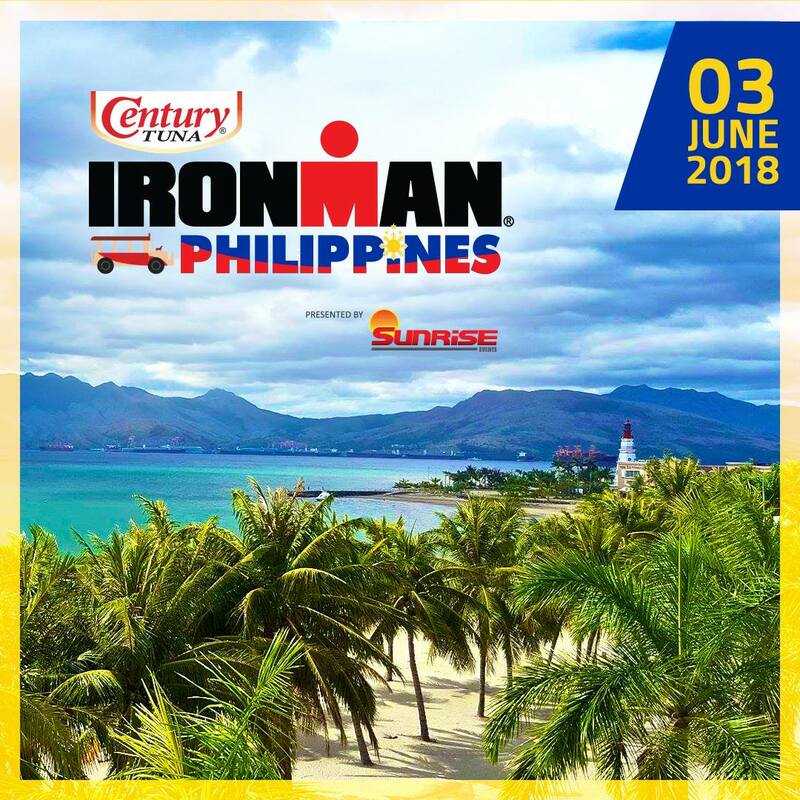 Ironman Asia announces the Ironman Philippines race for next year and again the venue will be here in my hometown Subic! Registration opens on Tuesday, 1st of August save the date! Check out the link here. Make sure you can book your hotel as early as now, there are lots to choose from within and outside the Freeport. See you all here for the Ironman 2018! The photo was taken last weekend during my weekend bike ride around the bay. As a working Mom, there are times that I get exhausted mentally and physically. 24/7 of your time requires you to do your responsibilities at home and at work and a little diversion is needed. The typical Mommy's physical presence is normally needed in the household, I can find something that I like and love to do online. It won't let me leave the house which can cost me less of the gasoline expense and at the same time, I can manage home and the kids too. There are lots of online games you can search in the web and it all caters to your interest and liking. To you time availability and as well as skills. I don't believe that online games are only for kids, especially in the modern age we are in now. Everything is all accessible to can be reached in a push of a button. Since I used to play bingo with my cousins and relatives during summer breaks when we were young and finding out that there's an online site for bingo games I totally am up for it. I like playing bingo because it is easy to play and also it lets you practice your focus and concentration. From a typical roulette with numbered buttons and slotted bingo cards, everything now got level-up by means of playing bingo. 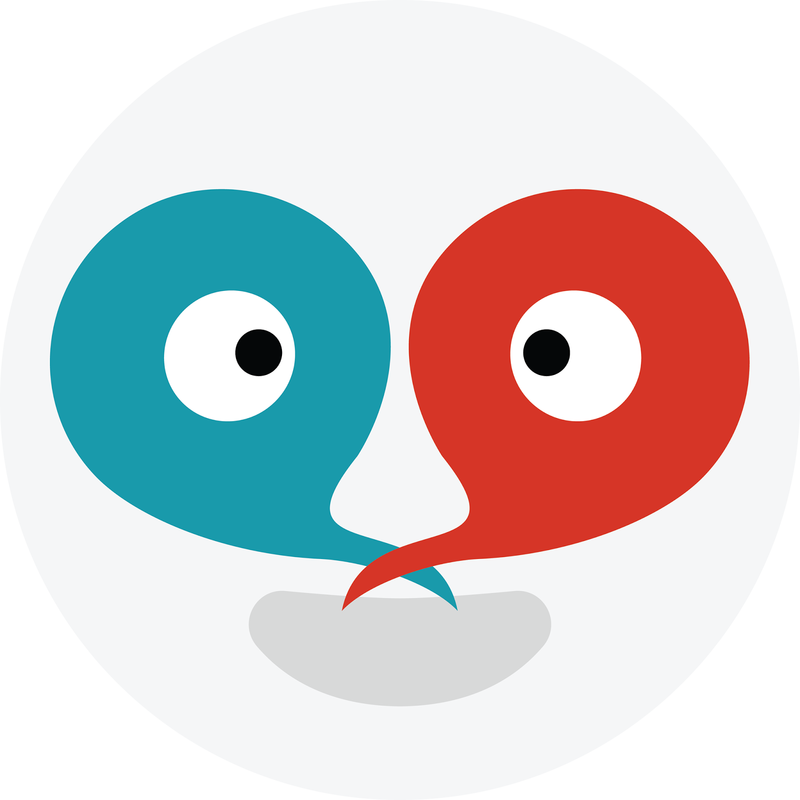 Boomtownbingo, an online company that provides Internet bingo sites and the transactions are secured. This was introduced to me by a friend who loves to play bingo too. 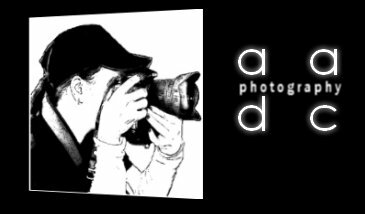 The site offers a wide array of game features and of course the basic ones that I do like to play. 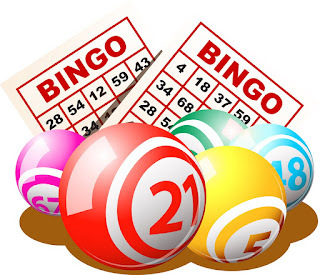 They have popular brands of bingo that are being ranked and rated by users worldwide. And, what I like about this site, even more, is the mode of payment, they accept Paypal for payment! And, they offer great bonus and huge jackpot prizes. When playing online we need to make sure our payments and winnings will be secured...well we don't want to lose a penny from all the hundreds of untrusted sites out there, make your money safe and secured and enjoy playing bingo! 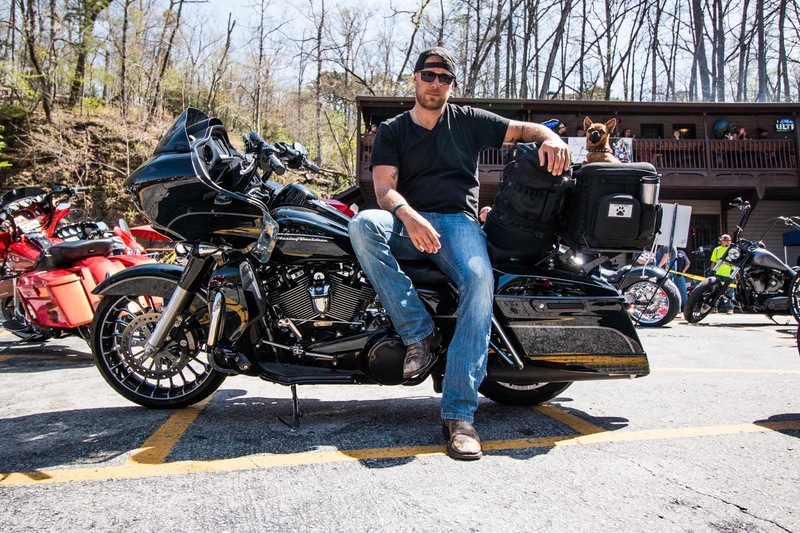 Veteran Shane Kruchten was the first recipient on the MISSION: THANK YOU tour and was honored at a ceremony in San Diego in May. Anyone can nominate an active military member or veteran to MISSION: THANK YOU for submitting their story of sacrifice, strength, and courage to missionthankyou.com. Adam will be part of the group reviewing and selecting deserving patriots for the award. 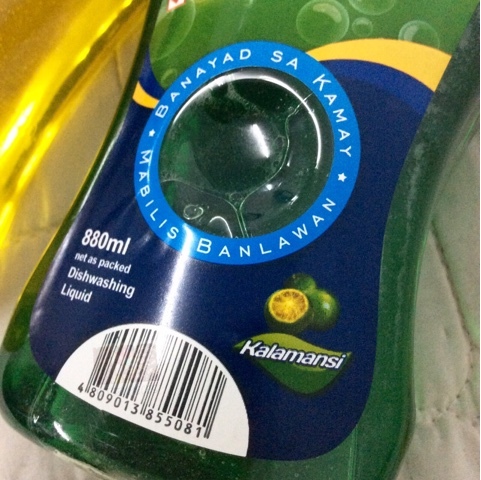 Bubble Man Dishwashing Liquid for ALL your Cleaning Needs! When it comes to cleanliness my OC-side of me turns on 101% most of the time. The satisfaction I get when I know things at home are clean, most especially everything in the kitchen is clean. 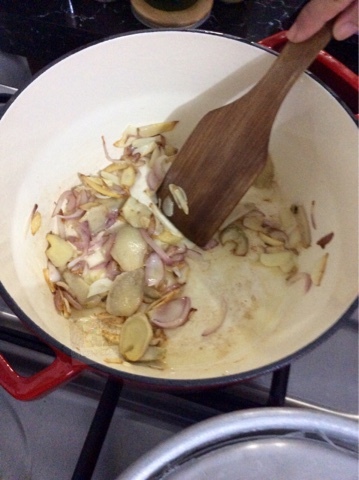 I always volunteer to clean up dirty and used dishes every after use during meal preparation and mealtime. No matter how tired I am I will make sure that all plates and pans are squeaky clean and all smells fresh! I am the one responsible for grocery shopping and dish washing agents are never to be forgotten. 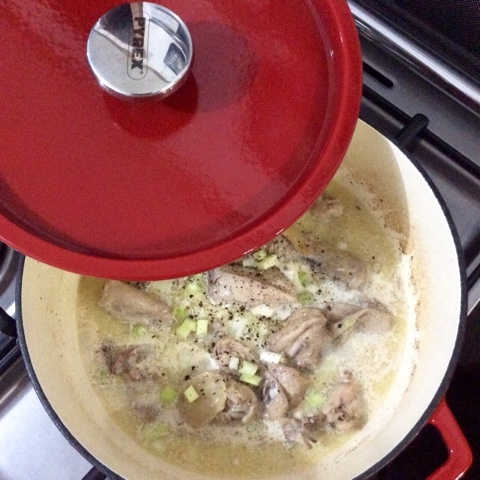 From my recent hobby which is baking, additional use of pans and baking dishes are needed. 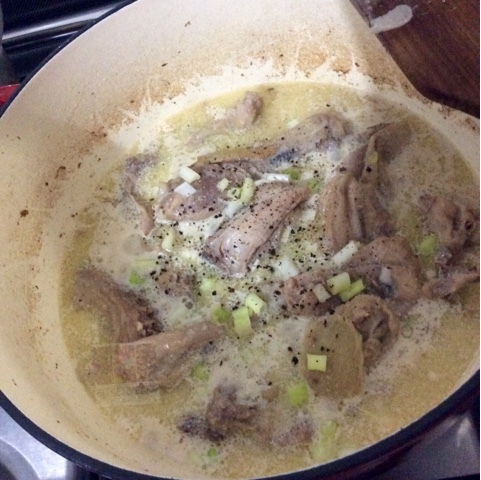 And, when you use something in the kitchen you much wash and rinse it well for the next use. Those stubborn grease from meat pot-pies to butter and chocolate spills from cupcakes are the trickiest part to manage. 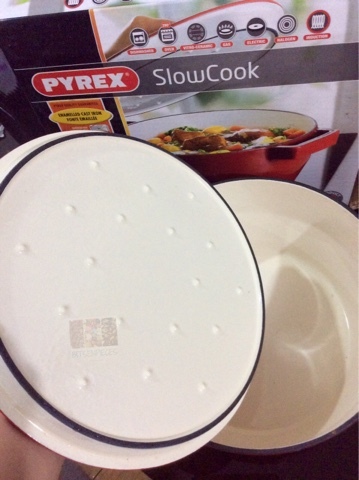 This is the time when for a bio-degradable, convenient and gentle on hands dishwashing product comes in. 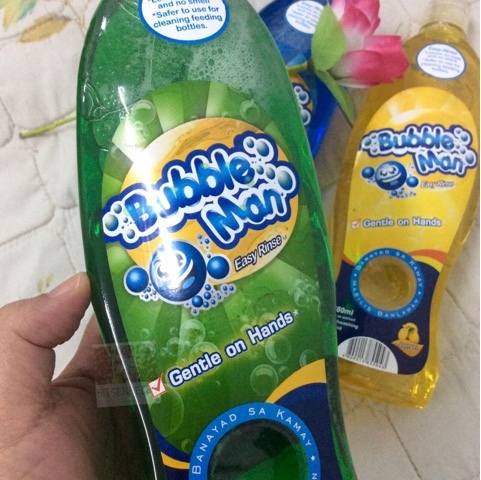 Bubble Man Easy Rinse dishwashing liquid became my partner since the day I discovered it. 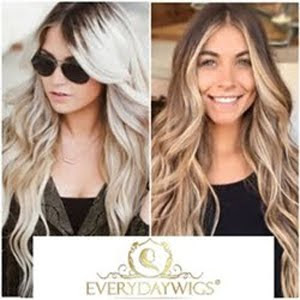 The most important thing I always look for a product is the effectivity of it when used. We need our money-valuable in purchasing items at home and since this product is consumable- the effectiveness of it becomes our top priority to look at. 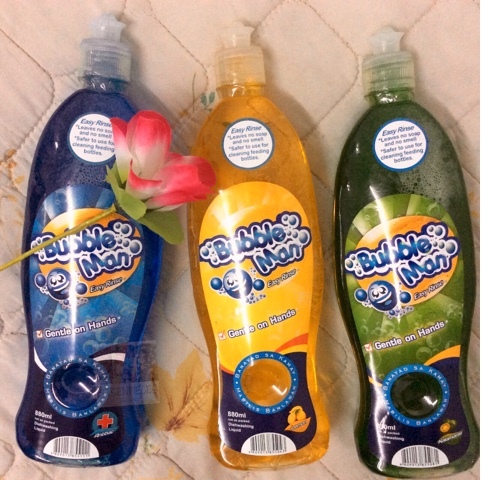 Bubble Man dishwashing comes in three scented-variants; Antibac, Lemon, and Kalamansi. Each has a distinct scent depending on your liking and preference but the quality of every drop of Bubble Man dishwashing liquid are all the same. Out of the three variants available I love the lemon scent! It gives and leaves a natural, citrus scent on cutleries, plates and drinking glasses. 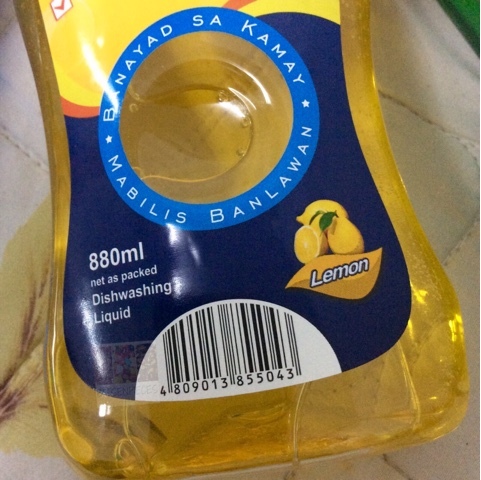 So, basically, this is being used in the kitchen most of the time along with the kalamansi scent which is somehow the same as the lemon scent. 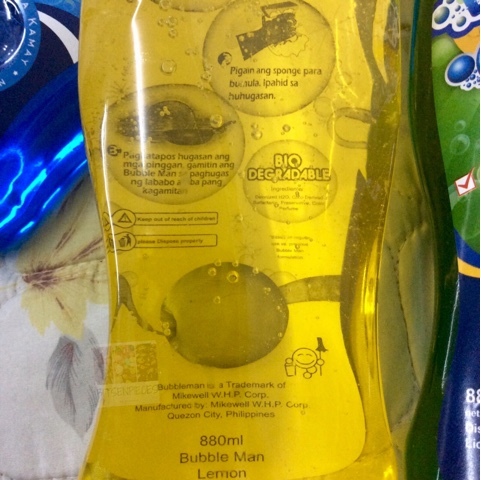 Bubble Man dishwashing liquid is not only limited when used. 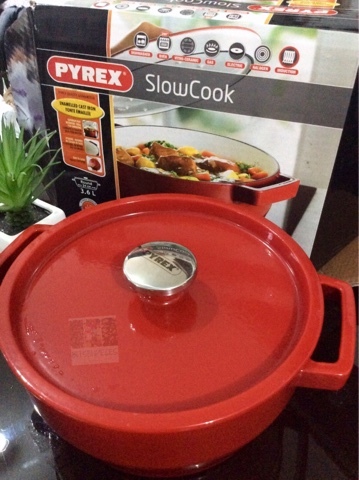 Aside from being an aid in the kitchen, it can also be used for bathroom cleaning specifically the bathroom sink, tiles, and walls. 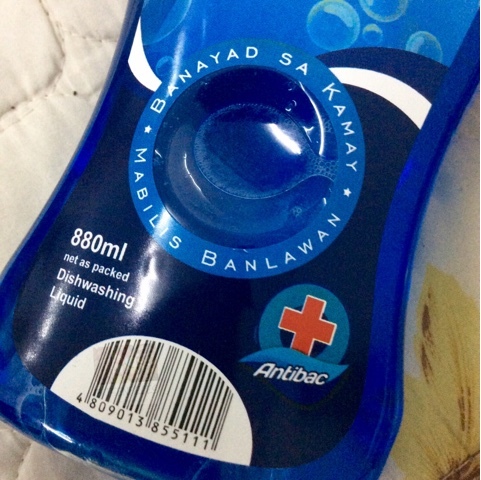 Everything in the bathroom is spotless clean when I use the Antibac scent. It smells like ocean breeze! Gentle on hands. I don't need to worry that my skin will dry up after washing dishes. Bio-degradable. Environment safe and kids can use it too. Affordable. 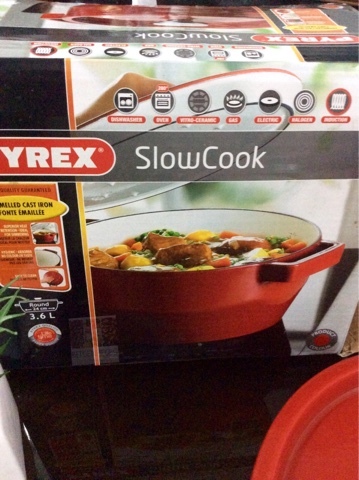 Compared to other brands that offer the same benefits, I will go for this one. Availability. Can be bought in any leading supermarkets and groceries nationwide. Handy bottle container. No matter what size, it has an easy-grip bottle when used. Easy rinse. Saves you money and time. 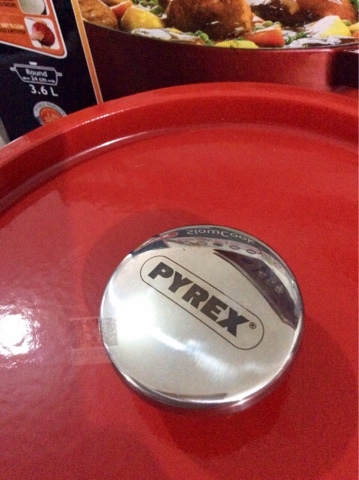 So, having a product brand that is not only for washing dishes but can be an all-around cleaning agent, I am truly convinced...tried and tested! When my daughter graduated from elementary a couple of months ago and saw Red Ribbon's Graduation raffle promo, no second thought I will join and take my chances in winning one of the 35 MacBook Air laptops they are giving away. And, no doubt our entry was one of the lucky winners! A contest entry needs to buy a Graduation cake from Red Ribbon for their graduates and have it along during the celebration. We bought one and brought it with us in the graduation ceremony at school which ended up past 10pm! After the ceremony we took photos of our graduate along with the Red Ribbon Graduation cake and submitted entries! From the promo ad on their page, there was a pinch of grain that I doubted the promo contest for the reason that the said prize is expensive and they are giving away 35 units of it? But, vast part of my willingness to join was the chance if ever it's true and I can be one of the winners. When they announced the winners a month ago, it was true and the mixed emotions and feelings were all-over the place that time. 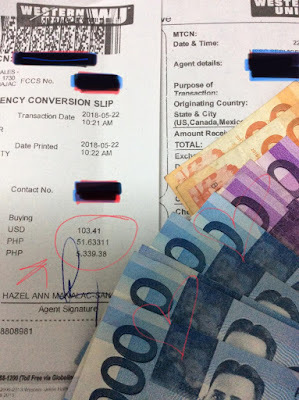 From the announcement of Red Ribbon, people who joined the contest who did not questioned some of the winning entries as it did not abide to its contest mechanics. From the questions the management receives they were able to handle it and made the final announcement with corrected list of winners. 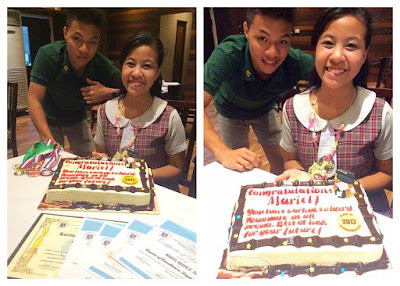 This was our winning entry, my daughter and her brother posing with Red Ribbon's Graduation cake while we wait for our super late dinner at Aresi Restaurant. From the updates from email, online and registered mail we were able to claim the prize to the branch were we both the cake. My mother and mu daughter claimed it and we brought home our newest addition in the family. 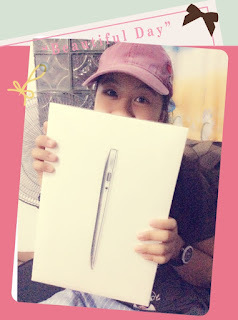 Our MacBook Air prize, the most expensive gadget we won in a raffle contest to date! So thankful for this and thank you to Red Ribbon specially to their branch personnel who processed the prize for claiming smoothly!